Legendary ELP drummer is coming to Israel for a one-time gig on May 3rd, 2014. He will perform with his Carl Palmer band, in the Reading club in Tel Aviv bay. I called him in his UK home for a short interview about the upcoming show. 1) Is this your first time in Israel – ever? Yes, it’s my very first time. Looking forward to it. I’ve been wanting to come over there for a long time and play, bring the music to the people. It’s going to be a great experience. 2) Many people in Israel will really like to meet you in person. Will that be possible? I won’t be bringing merchandise to the country, but if they have something to sign, I’ll be only too pleased to sign it for them, of course. 3) Are there places in the world that you still want to reach, maye China or India? We’re looking at China for next year, just been to the World Bank to discuss the possibility of playing with an orchestra in China. We haven’t finalized anything it, we’re still looking at the details, is it very possible that could happen in the very near future (not India). 4) Bill Bruford has stopped performing live recently. How do you feel about his decision? have you talked to him about it? I never take any notice of what other people do, what they play or how they do it, I look at my situation. I have always been a musician. I don’t think Bill has always been a musician, he had other jobs and things. It was never in his psyche to make it a life-long profession. I come from a family of loving musicians, and have always played and always worked. So to me, It’s not something you can just give up. It’s a bit like if somebody asked you to stop eating Latkes one day, it would be difficult for you, wouldn’t it? you couldn’t do it. You have to carry on being yourself. I don’t even relate to what he did. It’s not something that interests me at all, to tell you the truth. My philosophy is – I carry on playing as long as I play in the high standard that I play at. I am still improving at the moment, which is really good for me, and as long as I improve – I’m happy. If I can’t improve any more but I can mainatain my standard, I will carry on playing. If I can’t maintain the standard, then yes – I will stop, because I will only go out there if I can prove a point, and prove to the people how good I am, and I think I can do that for a few good years yet, I’ve had a few right now, this evening, tomorrow can be different. Do you still do some Karate, or maybe Jogging? I ran this morning. I don’t do Karate anymore. I’ve had both my hands operated on for Carpal Tunnel Snydrome (CTS), it was a very succesful operation, I was very lucky indeed, I managed to save them just in time. That came from punching an object called a Makiwara which you do in a Karate exercise. (Carl got as far as Shodan, the first black belt, and a teaching certificate). I gave it up must be nearly thirty years ago now. 5) Arthur Brown is an important figure in your past, notably the late 60’s. Are you still in contact with him? Yes, two years ago. I don’t think that performing with him is something I would consider. 6) How about Frank Zappa? did you ever get to play with him or see him live in the 70s or 80s? Oh yes – Frank Zappa was a very big fan of The Crazy World of Arthur Band. We went to Frank Zappa’s house in 1968, in Laurel Canyon (Los Angeles neighborhood), he very was interested in signing the Crazy World band. We spoke about percussion and things, he actually gave me a book, we never played together, that was the only time I’ve met him. I would never play with someone like Frank Zappa because I’m not a hired gun. I only play for myself. I don’t play for money, I play for percentage. I’m not a side-man. The Carl Palmer Band, now active for about 13 years, doesn’t have any keboards, although it perfoms the “ELP Legacy”. It’s just Palmer on drums, Paul Bielatowicz on guitar, Simon Fitzpatrick on bass. I didn’t want to bring it up on the interview, after Carl has been asked about the no-keyboards issue so many times. He says that “to have a guitar driven band, was the most honest way to go about things…for me to use keyboards would be very, very silly after all those years..guitar would be the real way out because it’s possible to do with guitar now”. It’s a bold approach, it could have worked, but frankly – after seeing this band on DVD I’m not sure it works as well as ELP fans would want. Maybe if the CP band had two guitarists (both solo & rythm), they could have pulled it off very nicely. But one guy just can’t handle the harmonic complexity of ELP music, at least for me, who has been listening to this music for almost 30 years now. 8) What’s the hardest ELP piece to play? We’re dealing with guitars and not keyboards. I have to find a way to make it sound fresh and new and exciting. I try to make this music in a different environment, a different way. Using guitars with the virtuoso players that I have. Tarkus and Pictures in an Exhibition, let’s say they are difficult. It’s a different sound, a different approach, I think it’s a younger approach, taking the music to another direction really, more of a prog-metal progressive band, using guitars and not keyboards. It’s quite rewarding to play, we can play different versions of those pieces. That’s what I’m hoping to do. 9) Are you going to visit some sites in Jerusalem or Tel Aviv? There’s no time for that at the moment. I might go through a radio station. We have to check the equipment and the PA system, how good the sound is. A lot of those things will occupy a lot of my time. There’s aweful a lot to do, so sightseeing is not on my personal agenda. It’s not that I don’t want to. You have to understand taht I’m there for the business of music, that’s my main priority. To be able to play to the people of Tel Aviv as well as I possibly can, and as professionaly as I can. The show is 1 hour and 50 minutes. We’re playing music not just from ELP. We play things like the Fugue in D minor by Bach, Carmina Burana by Carl Orff, Mars the god of war by Holst and also 21st Century Schizoid Band, we might be playing that too. I’d be talking about everything in the set and explain what this is all about. 7) Now that you are a Vegan, does it cause some problems on the road? I can get most of the things I want, like vegetables and bread. There’s not always soy milk or a vegan dish on the menu. But for the last 17 monthes I have been doing it now, it’s improved my health immensly. Obviously I miss certain things but I don’t crave for them. It is a bit difficult, it depends what country you’re in. Certain countries are very easy to accomodate. It’s easy to get good food at restaurants, also Chinese restaurants are very good. Unfortunately, a lot of the Jewish food that I used to love I can’t eat anymore. Some things I miss but there’s always a way around it. If I can’t eat one day as well as I would like it, hell I don’t care. 10) Did you ever catch a gig be the Keith Emerson band? Did you watch their DVD? 11) I hope that maybe one day we can talk to the three of you (Emerson Lake Palmer), but it won’t happen in Israel, that’s for sure. I don’t think it will happen at all. I played with ELP in 2010, at the High Voltage Festival. I decided after that concert that I no longer wanted to carry on with ELP, it was the time to stop it. I felt we done our very best. We’ve had our a great 40 years together, on and off, not 40 consecutive years. And I thought that when a band reaches the end of its day, when they don’t play as well, and you can’t achieve what you used to achieve, you can’t reach the same heights – it’s then time to stop. That’s my philsophy. We had a great time, we said goodbye and thankyou for the London crowd. I explained to Greg and Keith, who possibly wanted to carry on, that I would be making that my last venture, my last outing with the group. We only meet for business because we still own all of our catalouge and our publishing, but we don’t actually meet to talk about music or reherse, becasue that’s not going to happen. Visit http://www.carlpalmer.com/ for more about CP and http://carlpalmerart.com/ for the Twist of the Wrist art project. An incredibly rare masterpiece of prog-rock music – that’s “Jeremias” by Austria’s big surprise, the band “Circle of Illusion”. Their debut album, an 80-minute rock opera, has been climbing prog charts all over the world, since its release in September 2013. The mastermind behind the project, Gerald Peter, agreed to conduct an interview with Uri Breitman. 1) I’ve been listening to Jeremias for weeks and weeks now. It’s a haunting album, it doesn’t let go and it penetrates every corner of your brain. This huge piece of work could not have been written by a musician with no formal education. Can you please tell me what kind of music training did you get, from childhood to these days? Gerald Peter: Here is my musical CV where all the information is included. [Born in Vienna on 1986; Six years of piano lessons; Attended workshops and jazz-piano lessons] So I never studied music. I just had classical and jazz piano training, lots of band experience and passion for music. 2) This project has taken years to complete. Most musicians can’t work so long on one piece – how did you find the energy to keep going and not give up on your vision? 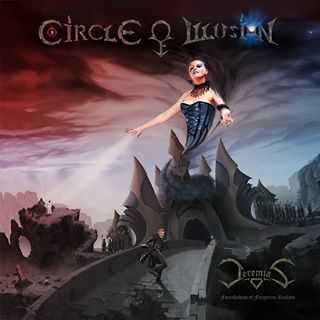 Gerald Peter: The trick for me was to make unrealistic plans, due to my lack of real experience… I wrote the whole album in 2009 before the “Circle of Illusion” band was formed. It took me 6 months just to write an extraordinary concept album with very high ambitions. Actually, I wanted to finish it earlier, but the problem was that the band didn’t form earlier, the material had to be rehearsed, lyrics had to be written (which I cannot do). The CD-recording and the post-production also needed much more time than I had planned. My love for small detail also delayed the production process. But you have always to think about this: Good things need time! 3) The story of “Jeremias” echoes some past works, mainly Ayreon’s “The Human Equation” and Queensryche’s “Operation: Mindcrime”. Did you find some inspiration in these masterpieces? Gerald Peter: I listened to the “Human Equation” a few times, but I don’t know the story and the music very well. I don’t know about Queenryche’s CD. The basic idea of the story of Jeremias arose in a dream i had years ago. At the beginning of the project, we had a three person-creative-team (with me, Florian and a third guy called Markus) to do brainstorming about the development of the story based on the main idea. 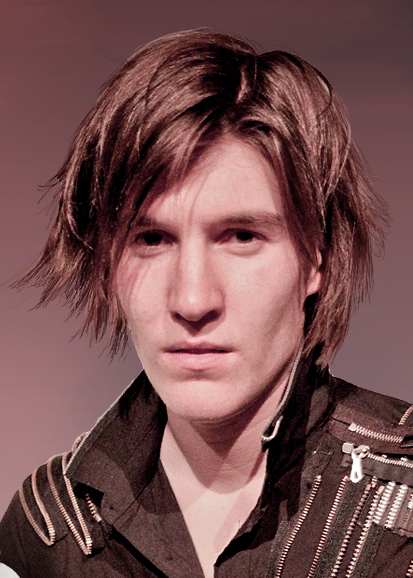 Later, Florian concentrated in writing lyrics and the progress of the story and me in the production of the album. 4) It’s so hard squeezing so much music into one 80-minute disc. How much editing did you have to suffer through? Did you have to cut down some written parts in order to fit the 79:59 limit? 5) This album deserves at least two titles/accolades: the best Austrian prog album of all times — and one of the best albums of 2013. Which title means more to you? would you prefer a different title altogether? Gerald Peter: It is a special honour for me to hear both of this titles. But I think the title of one of the best albums 2013 means more to me, because there is no austrian prog band which I have listened so far (except my own…). 6) Which are your favorite composers? I mean classical ones, modern ones, rock composers, even Jazz or film score composers. Gerald Peter: Film music composers: Danny Elfman, John Williams, Hans Zimmer, Don Davis; Rock/prog composers: Dream Theater (late 90’s to early 00’s) , Haken, Symphony X, Neal Morse; Great artists from the jazz/fusion genre where I am inspired from: Hiromi Uehara, Dave Weckl Band, George Duke. 7) All three singers – Taris, Cara & Elga – have really done their best here, their voices are very good and they deserve a lot of respect. But personally, I had a hard time understanding their lines because of their (natural) Austrian accent. Was this a concern for you, or you just wanted to focus on the music itself? Gerald Peter: I just focused on the music. Lyrics and pronunciation was Taris’ task [that’s Taris Brown, main vocalist and the guy behind the concept and most of the lyrics on the album; U.B.]. 8) This is a rock-opera which needs to be seen, not just heard. Are there any plans for some kind of video production in 2014? perhaps a DVD or a stage show in London or even YouTube clips? Gerald Peter: There are a lot of ideas, but no concrete plans at the moment. It has to be worked out and if there are any news it will be posted on our Facebook news feed. 9) Now that the “Jeremias” album has been released (on Sep-2013), are you thinking about writing a 2nd one? or are you focused with promoting and touring the first one? Gerald Peter: The focus is on promoting and playing the first album. In my head I have enough ideas to start writing a 2nd concept album, but playing live is more important for me now than working on new stuff. 10) Although “Jeremias” is a very original composition, I still notice many Dream Theater and Pain of Salvation tributes and references in the arrangements, vocal parts and lyrics. Did you do that on purpose, did it slip by accident, or did you want to show your respect? Gerald Peter: In the music itself, there is no intentional tribute to Dream Theater and Pain of Salvation. I also didn’t listen very much to Pain of Salvation except the album „Be“. I think some words of Dream Theater album-titles are used in the lyrics. You could consider it as a tribute. 11) What was the most exciting feedback you’ve got for the release of the Jeremias album? (feedback could mean reviews, phone calls, emails, invitations, anything). Gerald Peter: A review from live-prog (Marcel Haster) – this review is really enthusiastic and made me smile for the whole length of 15 minutes. 12) What is your opinion on recent prog-rock works like Steven Wilson’s “Raven” album, Haken’s “The Mountain” and Dream Theater’s 12th release? Gerald Peter: I did not listen yet to Wilson’s “Raven”. 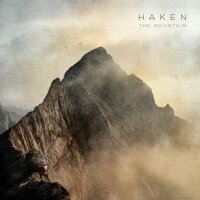 Haken’s “The Mountain” is one of the best progressive albums I have ever heard. Dream Theater’s 2013 release is good but at some points I miss the quality of compositions like 10-15 years ago (Scenes from a memory or Six Degrees of Inner Turbulence). 13) Thanks for your time. After you’ve answered all these questions, there’s probably something more you’ve wanted to say about this great album and your band? Gerald Peter: It was the biggest project I ever did in my life, and I am happy that I found such a great band to realize it and record this album. I am also glad that I found our label Generation Prog Records with Michael Schetter. I am thankful about everyone who likes the album! That was the interview with Gerald Peter, the main composer, arranger and keyboard player for the band Circle of Illusion. If you like big, dramatic symphonic prog rock, you will definitely enjoy this action-packed, richly producted mega-monster of operatic prog, sing in English, with very elegant and tasteful metal influences, three great soloists and excellent playing from all members of the band. I dare you to listen without getting hooked for at least 1 month. Now seriously, I wouldn’t have taken the trouble to interview Gerald Peter if I hadn’t thought this was one of the best progressive rock albums released in the last 3 years. 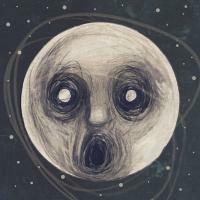 Steven Wilson’s “The Raven That Refused to Sing” was 2013’s most talked-about album in the progressive rock genre. Wilson is now world-famous, so every project he releases gets media attention. However, it wasn’t the album of the year. Wilson is a brilliant musical producer, specializing in the field of surround sound remixing and remastering. But as a composer and singer, I think he’s mediocre. There is also no question that as a guitarist, he’s even below average. “The Raven” didn’t succeed, artistaclly, because the connection between the lyrics and the music hasn’t been established. The conecpt, even as a lyrical concept, has not been materlized. I don’t find Wilson’s lyrics to be very original, exciting or moving. One thing you cannot ignore: the album restores some of the jazz-prog magic of early 70’s prog-rock. You get the VDGG and Crim atmohsphere again, so Wilson is actually a neo-prog artist. Haken’s “The Mountain” was the prog album of the year. The band has matured over the years, and their 3rd album is their best work so far. After the debut “Aquarius”, which was nice but a bit on the slow side, they made “Visions” which was one step ahead in musical terms, but the lyrical concept was flawed and static. But in “The Mountain” they have achieved a prog epic masterpiece: moving, dramatic, action-filled, rich in contrast, full and deep. Even the lyrics are great, truly inspired and inspiring. Nobody knows how these guys will be able to top this one on their 4th album. 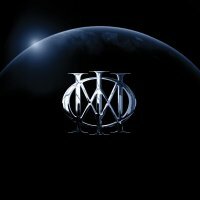 Dream Theater’s 12th album (self-titled) was one of the worst major releases of 2013. The prog-metal giant keep recycling old ideas to the point of boredom. These guys need an external composer and lyric writer. DT fans deserve so much more than that. The songs are lame, the solos are lame, the singer is lame. The compositions are old, the arrangements haven’t changed in almost a decade. These guys need a revolution: maybe a new band member, or someone who can really compose interesting music. Circle of Illusion’s “Jeremias” was 2013’s biggest surprise. This Austrian group took the prog world by surprise with an intense, over-the-top rock opera. The mastermind behind this amazing project is Gerald Peter, who literally slaved for years over the concept, compositions, orchestrations, production and arrangements. COI has delivered a magnificent album with 80 minutes of high-drama prog-metal, operatic rock, symphonic prog, a bit of jazz, urban funk and just a bit of happy disco. All the players on this CD have done their best to create a huge piece of art. Although the three singers’ accent is not up to par with British or American singers, it’s a beautiful album with the highest attention to detail. Personally, I don’t think the storyline is strong, but the music has a life of its own. Wonderful melodies, combined with forceful riffs and super-clever arrangements, nail this one to be the 2nd in line, after Haken’s “The Mountain”. I really enjoyed this one – Austria has a new progressive rock champion, who came out of nowhere. “In Extremis” by Days Between Stations was also a notable release. They’ve enlisted some serious players for this recording, namely Peter Banks (right before he died), Tony Levin (on all tracks! ), Billy Sherwood and Rick Wakeman. The cover art is by the legendary Paul Whitehead. Listen to this one – this guys are spot-on. 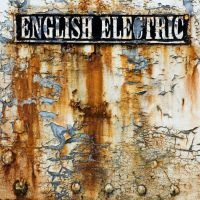 “English Electric” by UK’s “Big Big Train” is a two-part concert album, spread on two CD’s. Although 2013 saw the release of the 2nd part, the 1st part was the better of the bunch. Still, as a unified project, it’s a very important release, celebrating the heroes of the industrial revolution in Britian. David Longdon’s vocal parts are particulary notable, with romantic lyrics dealing with a dramatic (and romantic) subject matter. Besides these, 2013 saw the re-recording of “Snow Goose” by today’s Camel lineup – a nice album which doesn’t shake the house. Riverside pulled “Shrine Of New Generation Slaves” which wasn’t too exciting. Kayo Dot hit us with “Hubardo”, a super-heavy avant-garde whale which takes a lot of time to inhale. The French Nemo went out with “Le ver dans le fruit” which was nice as expected. Ex-Marillion’s Fish published “A Feast Of Consequences” which got good feedback, and Caligula’s Horse got top reviews for their bombastic “The Tide, the Thief & River’s End”. As usual, we have more albums than time, more music than we can handle, and too many albums to review. Nobody seems to have the energy to go over everything released this year, so we’ll pick up some more masterpieces along 2014. Two great prog-rock groups have confirmed two gigs in Tel Aviv the past week. The Crimson ProjeKCt, consisting of three original KC members Adrian Belew, Tony Levin, Pat Mastelloto and 3 younger players will play one concert in Tel Aviv, scheduled for March 5th 2014, in the Tel Aviv Mann Auditorium (“Heichal Hatarbut” hall). This will be the first time King Crimson songs have been played in Israel by actual members of the group. Robert Fripp will not be there, but it’s still KC for us. Crimson ProjeKCt will play King Crimson classics from the 80’s and 90’s, and maybe a couple of stuff from the 70’s (like RED and Larks’ Tounges). The Israeli crowd will not be very happy to listen to newer stuff like “Stick Men”, although it’s a fine album by Tony Levin’s group. It’s a tricky show, since Robert Fripp announced yet-another reformation of KC due in September 2014. Belew was clearly faster with this one. Steven Wilson will also visit Israel soon – November 16th 2013, actually. Wilson lived in Tel Aviv for quite a while, and he hasn’t forgotten Israel. So after bringing Porcupine Tree here in July 7th 2010, Wilson will arrive with a group of astounding musicians (Guthrie Govan – lead guitar; Nick Beggs – bass; Adam Holzman – keyboards; Marco Minnemann – drums; Theo Travis – winds) for a one-time performance at “Reading 3” club at Tel Aviv’s northern bay. Wilson is working hard promoting his recent acclaimed release, The Raven That Refused to Sing (And Other Stories), co-produced by the famed Alan Parsons. We’re really lucky to be included in one of his tour dates. The Progstage production team has said that a new event will be scheduled in November, probably at “Reading 3” club in Tel Aviv. It was scheduled to Nov 30th, but was cancelled again in Nov 17th. Again, low ticket sales were the reason for the 2nd cancellation. After their great gig in Tel Aviv on February 8th 2013, progressive metal’s LEPROUS band’s guitarist Øystein Landsverk gave an Israeli fan, Shachar Tal, a short interview about their gigs and recent COAL album. 1. First off, you’ve been to Israel earlier this year. How was your experience? Did you find anything that surprised you? Israel was nice! First time ever in the Middle East and we were very excited about the whole thing of course. Always fun to go play somewhere you’ve never even been before! We were driven around in a bus and had some time off to go see some nice places, and also spend some precious time on a beach 🙂 I guess we were a bit surprised in the sense that Israel wasn’t as different from Norway as we initially thought. All in all it was a great experience, and interesting to see a part of the world that was unknown to us thus far. 2. Listening to your albums, there is a very strong feeling of “going with the flow”. However, while watching you perform live, it seems that every movement and every step is very calculated. This “Flowing vs.
in “Coal” it seems that you’ve put a lot of effort to fuse between the two. Is it something you intentionally work on as a band, or is it unintentional and reflects your internal progress as artists? you have to hone in on the details and really get into the music. That’s also why ‘Coal’ makes a lot of sense when listening through the entire album at once. 3. You guys tour quite a bit. Care to share one or a couple of crazy “road” stories that happened to you? 4. Why don’t you do songs from “Aeolia” or “Silent Waters” on stage? It’s because these songs, their sound and arrangements are vastly different from how we approach music nowadays. It would be very difficult to integrate material from those periods into a live show because of just that. The songs were made during a time of searching for a sound and exploring every idea we could come up with, and we think of them more like stepping stones rather than music we would stand for 100% today. 6. Back to the music. While “Bilateral” was an all­out mayhem, “Coal” shows a lot of restraint (my personal association when I listened to “Coal” for the first time was Norman Bates from “Psycho” at the Motel’s front desk: looks calm, but with an insane fire within). Why did you choose this musical direction? What is the most notable effect this “restraint” had on your music? song became really important, instead of just throwing riffs around that didn’t make much sense. ‘Bilateral’ was much freer in that regard, but on ‘Coal’ we took that same approach only aiming to keep it within the existing framework of the song, and not ‘break out’ all the time. it can sort of ruin the listener’s experience, you know? 7. Please name at least 5 bands/artists which you think inspired you the most and without them, Leprous wouldn’t have sounded the way it does today. It’s very difficult for me to pinpoint which artists I listened to who have had the most impact on Leprous’ sound. I think it’s like that because everything one listens to always has some degree of influence. But I know a few artists who have affected me and my playing quite a lot and I can name Iron Maiden, Paul Gilbert, Tommy Emmanuel, Wes Montgomery and Michael Jackson. 8. Do you already have ideas for your next album? Where do you see Leprous’ style progressing to? Yes, we fool around with a lot of new ideas but just individually at this point. We generally don’t like to predict or aim for a specific sound prior to making a new album as we only find it to be a limitation. 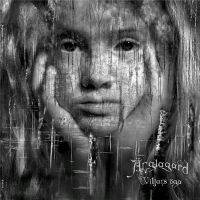 Anglagard’s 3rd studio album is probably 2012’s finest progressive rock release. Although the band hasn’t been active for about 18 years, the work on this particular album has been evolving for at least 3 years. The result is a 3rd masterpiece for this Swedish group, and one of the best examples of prog-rock ever recorded. What makes this album so compelling is the extremely high level of compositional talent. Not a lot of rock groups can handle long songs and keep the interest flowing. YES, in its glory days (1970-1974) was such a group. King Crimson (1972-1974) also had its creative peak. Genesis (1971-1973) also nailed the epic format. Attention to detail is also very evident on every moment of this well-recommended disc. You can notice every subtlety, every nuance, and the playing from all band members is exemplary. I can’t complain about anything, and I usually complain a lot. Listening to Viljans Öga (“Eye’s Will”, in English) is a perfect pleasure. I’ve spun this disc for about 40-50 times, and I still love it. It doesn’t grow old on the ears. It’s delicate music, mature and sombre. You won’t find one spoken word throughout the 57 minutes and 4 tracks. Anglagard’s song structure is closest to a romantic symphony. You have four movements with the classic allegro-adagio-schrezo-finale formula. These guys are listening very seriously to classical music, and it shows. The music can be very fierce and dramatic, but also soothing and feminine. This group of musical perfectionists is very flexible in their arrangements. Every track is filled with interesting twists and turns. You can never know where they are headed next, but the development is not arbitrary, and the passages between moods is careful and organic. Instruments used throughout the album include plenty of Mellotron, but also bass clarinet, bass tuba, bass trumpet, cello and saxophone. Anna Holmgren’s flute is masterful, and her musical vocabulary has expanded with the years. Johan Brand’s bass is huge, and Mattias Olsson percussion work is every bit as good as Bill Bruford’s golden years. It is as good as “Hybris” and “Epilog”? on the objective level, yes. On the historical level, it is far less surprising and interesting. “Hybris” (9.5/10, IMO) was like a lightning – brilliant and jaw-dropping. “Epilog” (10/10 is my book) was a step forward, avant-guard and sinister. This one is not as challenging, original or influential. We’ve come to know Anglagard, and we really know what to expect. That is the only flaw in Viljans Öga. If you have to buy only one album in 2012, put your money on Änglagård. It’s pretty hard to get (not many copies in stock), but it’s worth your hard-earned money. This is one for the ages, and the Swedes can be very proud of their artistic achievement.